Black Cat for Halloween (courtesy of King Features Editor Ealish Waddell). 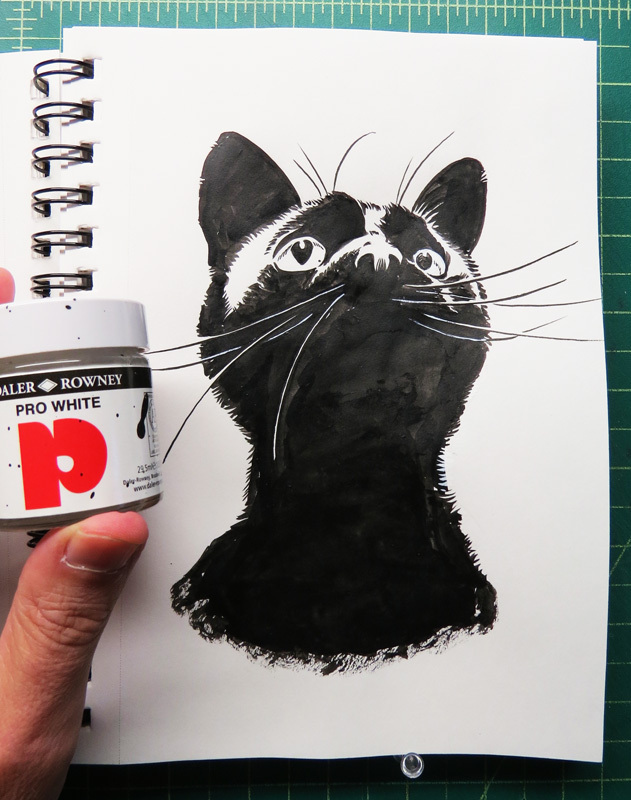 Pro White on whisker touch ups and the like. Listened to some Krzysztof Penderecki while inking (on Katherine Blodgett’s recommendation). 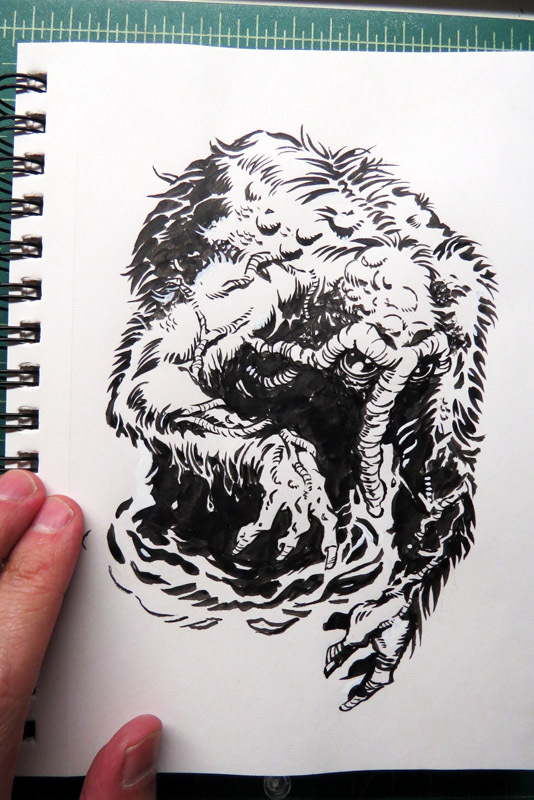 Mike Ploog inspired Man-Thing. Strathmore sketch paper. Inked with a Isabey Red Sable Round Brush, size 2. Touch ups with white opaque watercolor. This one wasn’t drawn on October 15th, instead it’s a panel from the Sally Forth 10/15 Sunday page. For the full Sunday page, check out SallyForth.com. I mentioned in a previous post that I’d like to “refrain from posting any sequential art from Sally Forth for Inktober.” Well, I threw that rule under the bus pretty quick. 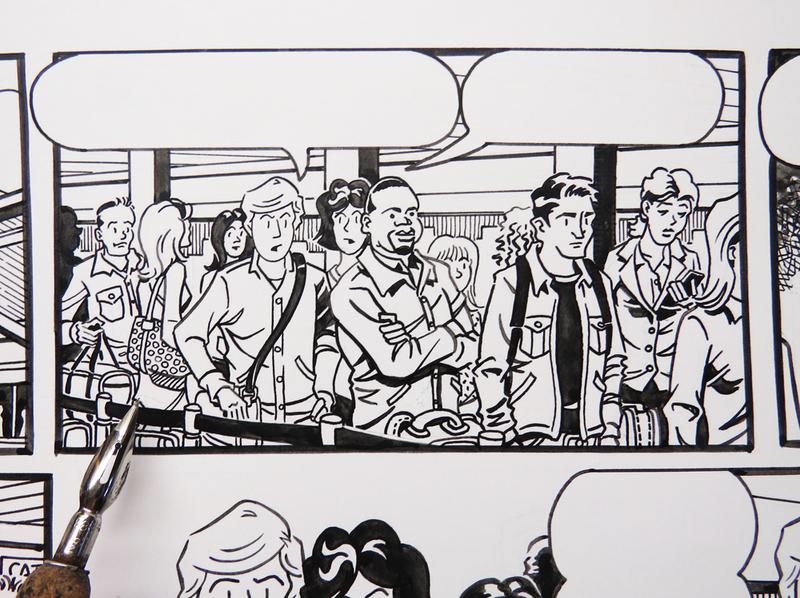 I find a crow quill nib is best for small details like this. And for secondary characters it’s always whatever randomly pops into my head. 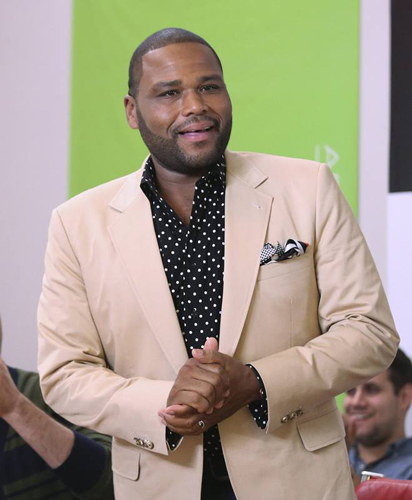 Like the guy right in front of Ted is loosely based on actor Anthony Anderson. I must have just watched Black-ish. 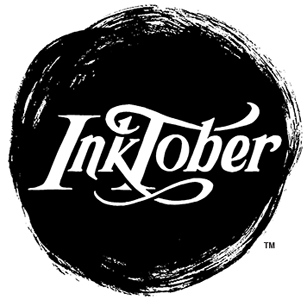 All for this week’s inktober – hope you stay tuned for more!